SUNDAY MAIL, April 18, 1999. GED BRANNAN stood stock still amid the eerie minute's silence at Celtic Park yesterday and thought of the mate who died in the hell of Hillsborough. He wanted a dignified moment to honour a friend the Motherwell midfielder had once kicked a ball around with before he had the life squeezed out of him at the Leppings Lane End. This was the grim tenth anniversary of that awful April afternoon when 96 Liverpool fans perished in a sickening crush on the terraces before the FA Cup semi-final clash with Nottingham Forest. It was an emotional moment for Brannan and he stood head bowed until a Celtic fan hollered: "Who ate all the pies, ya fat *******" at former Rangers keeper Andy Goram. That provoked a furious response from ill-advised Well fans then an Irish voice from the Hoops' section bellowed "IRA" and "Free the Prisoners". The name Graham Wright will mean NOTHING to them. It is etched forever on the mind of Brannan. And he fumed: "I thought it was absolutely shocking, a bloody disgrace. For God's sake 96 people died and they want to shout through the silence. "Those who did that have no respect for those people and none for themselves. 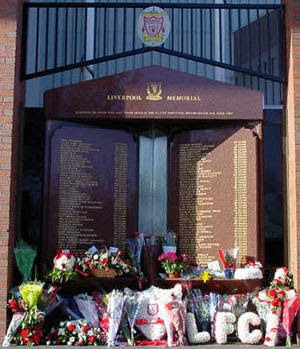 "I lost a friend at Hillsborough and it knocked my hometown for six. How can people think that doesn't mean anything? "I felt like running over to the stand and grabbing whoever did that by the throat." Ged was just a 17-year-old kid back then and playing for his own team ruined his plans of making the pilgrimage to Sheffield to see his Kop heroes. Instead he sat dumbstruck at home and watched the worst disaster in British sporting history unfold before his eyes. Yesterday should have been a time for silent tears, instead he will have woken up this morning angry and bewildered. And he rapped: "How can they disregard it the way they did. Celtic fans were booing our supporters but I felt the shouts came from their area. "To their credit when the silence finished I heard the vast majority of the stadium boo those who wrecked it and I thought that was great. "But those who did that deserve to be banned for life. And not just from Celtic. They should be barred from EVERY ground in Scotland." Ged phoned his girlfriend down south after the match to tell her of the shame of a minute's silence that saw one Celtic fan arrested and another ejected from the ground.